RedHat Satellite server allows user to push the updates or run the command remotely in a ‘real time’ manner. 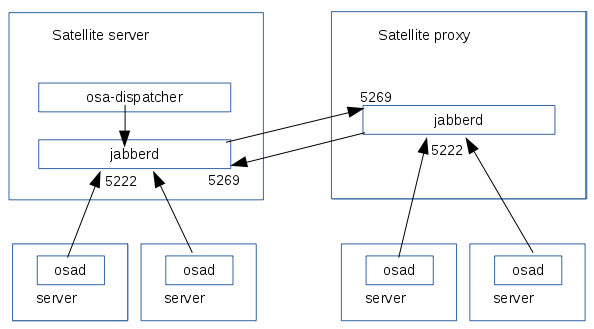 The backend services for this feature are osa-dispatcher, jabberd and osad. osa-dispatcher periodically check the database to see if any clients have actions they need to perform. If there are, it sends the messages through jabberd to the osad process that is running on the client. If the client is behind the satellite proxy, then the message is forwarded by the proxy. The script can be found here.